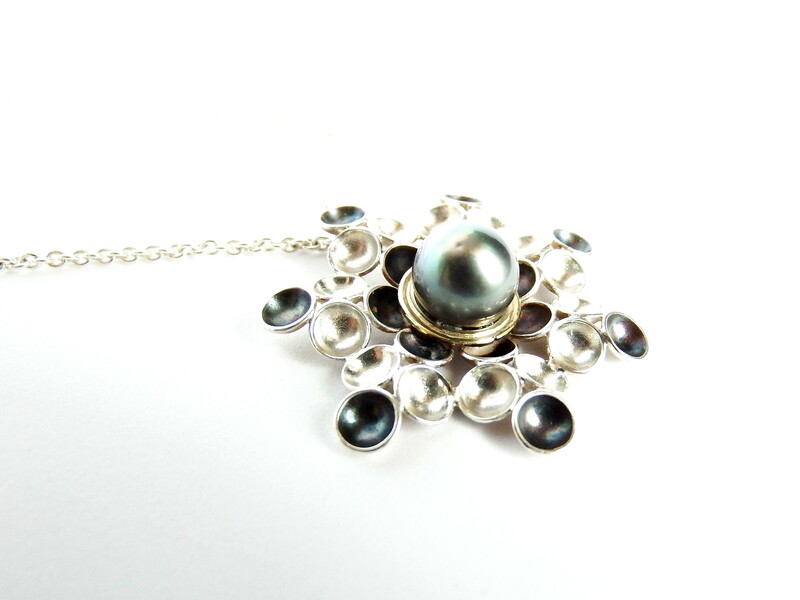 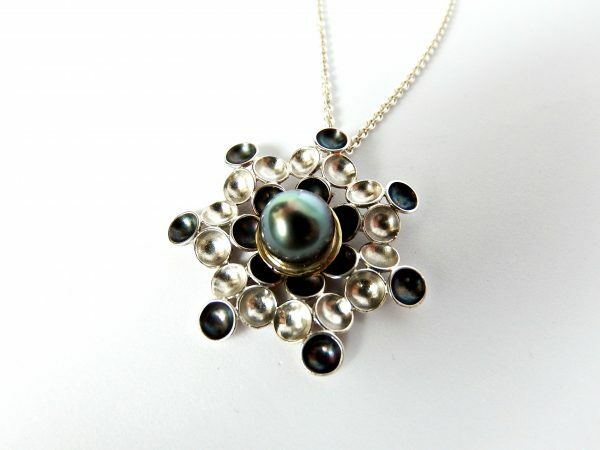 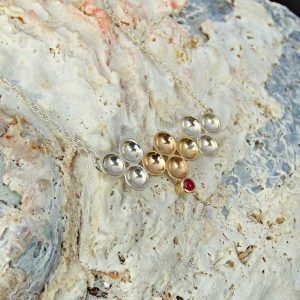 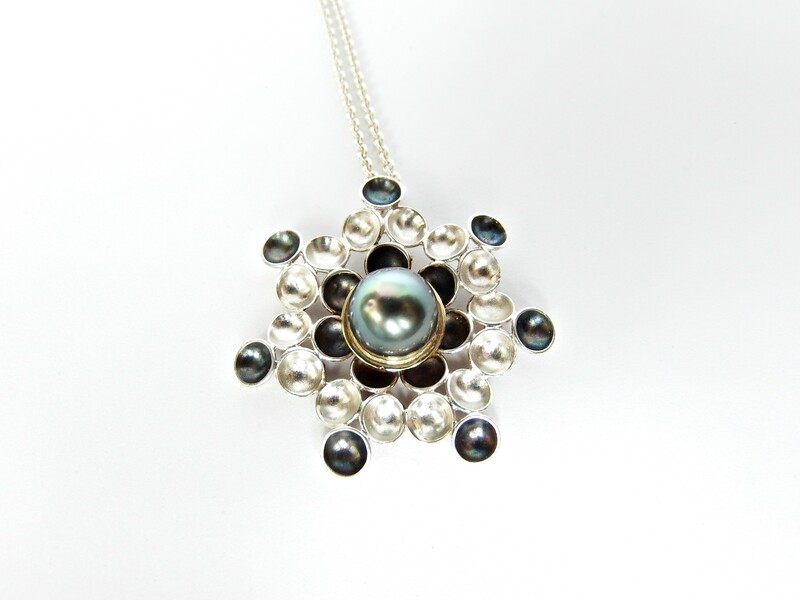 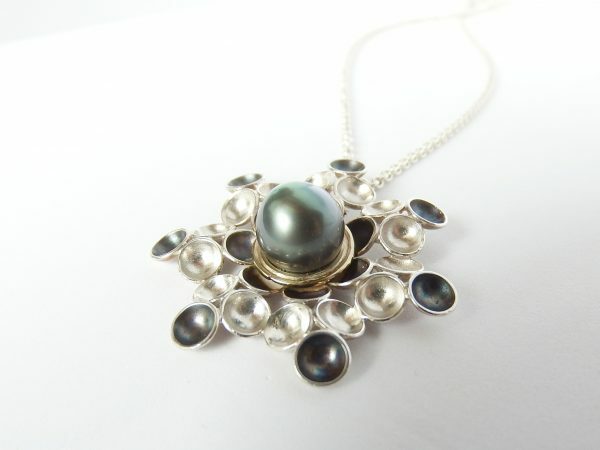 This spectacular pendant is as unique as each black Tahitian pearl can be. 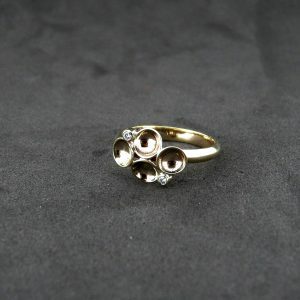 You just cannot take your eyes of it. 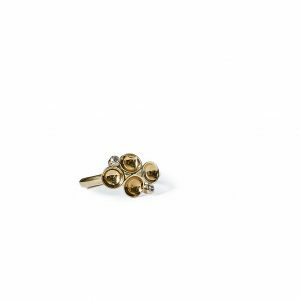 Hand crafted in Sterling silver, polished and oxidised little domes are arranged into a rosette like pattern. 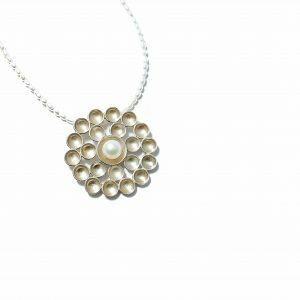 In the heart of the pendant sleeps guarded by 9 carat yellow gold, a magnificent gem from the sea. Pendant is part of Dimples Collection and is inspired by sea stars and their beauty. 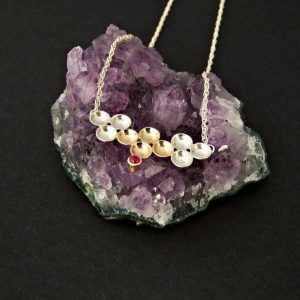 Made with love in Ireland.